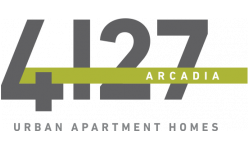 I love Arcadia 4127submitted by Monica M. - Jan 03, 2019 |Recommended: YesEvery one who has come to visit me always complements me on how Nice and well-kept the apartment complex is and love the stainless steel appliances my apartme. I love the management staff and everything that they do to keep 4127 in the shape that it’s in there an amazing group of people... Arcadia 4127 is definitely a place you can call home. The enviroment at Acadia 4127 is excellentsubmitted by Abraham L. - Dec 26, 2018 |Recommended: YesIt is a very pleasant place to reside. It has a staff that is professional in their behavior toward it residents. response from property - Mar 25, 2019 Thank you for the review Judith, we appreciate the time you took to review Arcadia 4127! Great place to livesubmitted by Jennifer M. - Sep 17, 2018 |Recommended: YesAs with any place, there’s always some problems. But the staff is on it. Great place to livesubmitted by Alyssa M. - May 02, 2018 |Recommended: YesThe location is perfect, the renovations are beautiful. I love the layout of the one bedroom. Wonderful Place to call Homesubmitted by Gabrielle S. - Apr 17, 2018 |Recommended: YesSo far, I haven't had too many problems living in this complex. I've told many of the leasing agents how much I love the gym, and how the property did an amazing job with the equipment they chose. I like that although dogs are allowed you don't hear too many non behaved dogs. response from property - Apr 03, 2018 Lana, Thank you so much for such a stellar review! We strive to make this a wonderful experience for everyone! Please let us know if you ever need anything, we appreciate you! Convenient but need some love submitted by Derek L. - Mar 01, 2018 |Recommended: YesI really enjoyed living here, however the constant water outage and the lack of up keep in the dog area has been challenging. Also, the residents should be able to purchase additional parking spaces. response from property - Mar 01, 2018 Thank you for the review Derek. We will be making some changes to our parking policy in May and we'll definitely keep an eye out on our dog park as our maintenance team regularly checks it daily. We appreciate the feedback and we'll continue to make this a great place to live! Ok place to live in a good areasubmitted by John M. - Feb 01, 2018 |Recommended: YesIt's ok living here, but be ready for a few problems to come your way because of the building being older. Decent for the pricesubmitted by Clancy S. - Jan 31, 2018 |Recommended: NoThis is a decent place to live for the price and location. response from property - Feb 02, 2018 Dear Resident, We truly appreciate your response regarding The Edge Apartments. If there is ever anything we can do to make living at The Edge a better place to call home, please feel free and share your suggestions with us by calling 602-971-8020 or simply stop by the office to discuss in person. We look forward to hearing from our valued residents.